An online travel insurer compiled data from the Department of Transportation's Bureau of Transportation Statistics for all of 2018, ranking the nation's 75 busiest airports for flight cancellations. 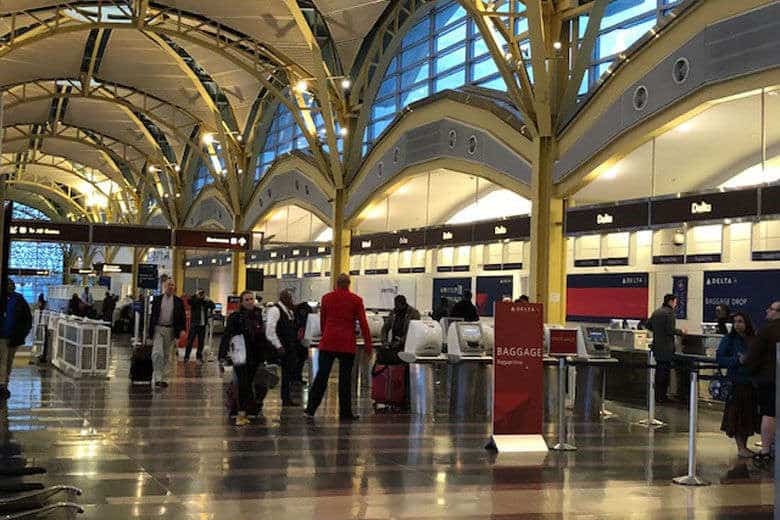 Reagan National Airport had the most canceled flights among the Washington, D.C. region’s three major airports last year, based on the number of scheduled flights per number of flights canceled, according to InsureMyTrip.com. The online travel insurer compiled data from the Department of Transportation’s Bureau of Transportation Statistics for all of 2018, ranking the nation’s 75 busiest airports for flight cancellations. In 2018, 3.14 percent of scheduled flights at Reagan National were canceled, ranking it ninth worst among the 75 American airports ranked. At BWI Marshall Airport, 2.25 percent of scheduled flights were canceled last year, making it the 19th worst. Dulles International Airport ranked 33rd for canceled flights in 2018, at 1.7 percent. New York’s LaGuardia Airport had the highest percentage of canceled flights of any ranked airport for the second year in a row, at 4.09 percent. InsureMyTrip said a major blizzard on January 18, 2018 was a contributing factor, forcing LaGuardia to temporarily shut down. Severe weather was to blame for most cancellation blocks in 2018, including the Jan. 18 winter storm, as well as hurricanes Florence and Michael. Salt Lake City International Airport ranked best in 2018 for the smallest percentage of scheduled flights that were canceled, at 0.30 percent.